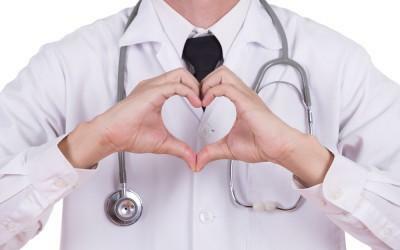 With Valentine’s Day right around the corner and Heart Health Month being observed throughout February, now is the perfect time to speak with your loved ones about the connection between Type 2 diabetes and cardiovascular disease. Cardiovascular disease — which includes heart disease, heart attack, and stroke — is the leading cause of death in people with diabetes, and those with diabetes are two to four times more likely than those without to have cardiovascular disease. To help those with Type 2 diabetes understand their heart risk, Boehringer Ingelheim and Eli Lilly and Company have launched For Your SweetHeart™: Where diabetes and heart disease meet. Featuring facts about cardiovascular disease, tips and questions for talking to loved ones and health-care providers about diabetes and heart disease, and a “Heart You Quiz” to help those with Type 2 diabetes learn more about their risk for heart disease, the initiative is intended to increase awareness about the link between Type 2 diabetes and heart disease. “The For Your SweetHeart™ campaign aims to…encourage people with Type 2 diabetes to know their risk and speak to their health-care provider, for the sake of their health and the people they cherish the most,” says Karol Watson, MD, PhD, FACC, professor of medicine/cardiology at the David Geffen School of Medicine at UCLA, co-director of the UCLA Program in Preventive Cardiology, and director of the UCLA Barbra Streisand Women’s Heart Health Program. To take the “Heart You Quiz” and begin a dialogue about heart health with your loved ones, visit the For Your SweetHeart website.